Get ready climbing world! ABS Nationals 13 is coming to Colorado Springs, CO February 24 & 25, 2012. This marks the final stop on the ABS 13 series and the beginning of the 2012 UBC Pro Tour, the U.S. professional climbing tour. The best climbers in North America will compete for a cash purse and a chance to snag a spot on the U.S. National Team. 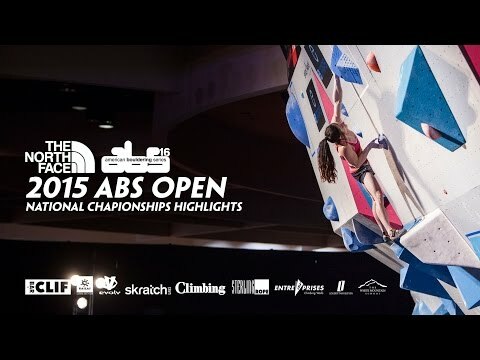 Can Alex Puccio and Sean McColl defend their ABS Nationals wins from a year ago, or will another strong athlete step up and crush? For more info or to register, please visit usaclimbing.org. 2011 results, photos and video can be found at www.ubcprotour.com. Decent bit, but I wish these re-cap videos would include an uncut send of each of the Finals problems. I understand they want to pack a lot of footage into a small bit, but I find it really hard to focus or even get an idea as to how the problems went.